Jui Residences - Freehold Condo by SDB Int. @ 1177 Serangoon Rd. Jui Residences Condo Singapore Pre-Launch is underway now! We would like to extend the early preview for all keen buyers. Please refer to the Price Guide Table below for the attractive launch price! (Only for registered buyers). We have received many feedback and thoughts on how we can share critical information to our buyers and why many are buying or ready to buy soon! With the launch of Serangoon North MRT Station, do check out Affinity at Serangoon as it’s a great potential buy now! Jui Residences is a Freehold Condominium situated at 1177 Serangoon Road (Former National Aerated Company). It will be built by distinguished developer SDB Singapore, Selangor Dredging Berhad (SDB). Known to the 1950s and 1990s generation as Kickapoo Building, or Sinalco Building, the site is a unique opportunity to bring out the heritage and significance of conservation and national heritage. Jui Residences has been designed to reflect art deco heritage which is inspired by National Aerated Water Co Ltd building, located within the grounds of the devclopment. The art deco heritage can been seen through the vertical flutes on the facade, arched detailings on the balconies and wide inset curves on the podium. 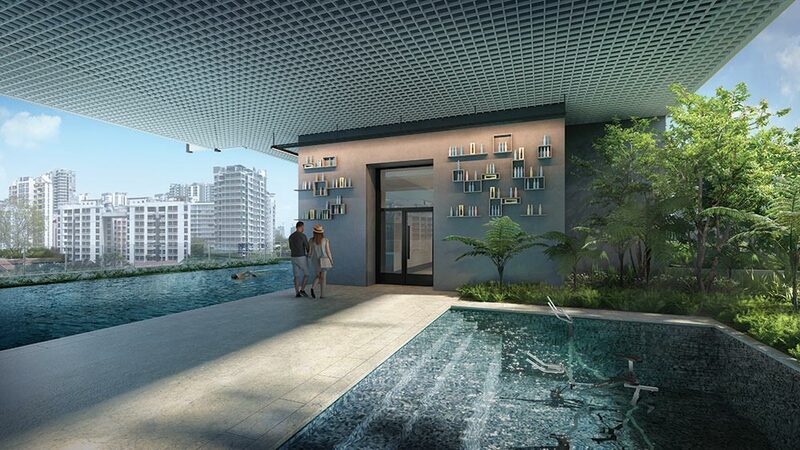 Located right next to Kallang River, this 18-storey tower building presents 117 contemporarily crafted units with natural lighting and ventilation throughout each home. Own a piece of Singapore Heritage and History in a rare conservation area and building. Working together closely with URA, SDB is committed to make Jui Residences a residential development an architecture and historical footprint on the Map of the past industrial district. 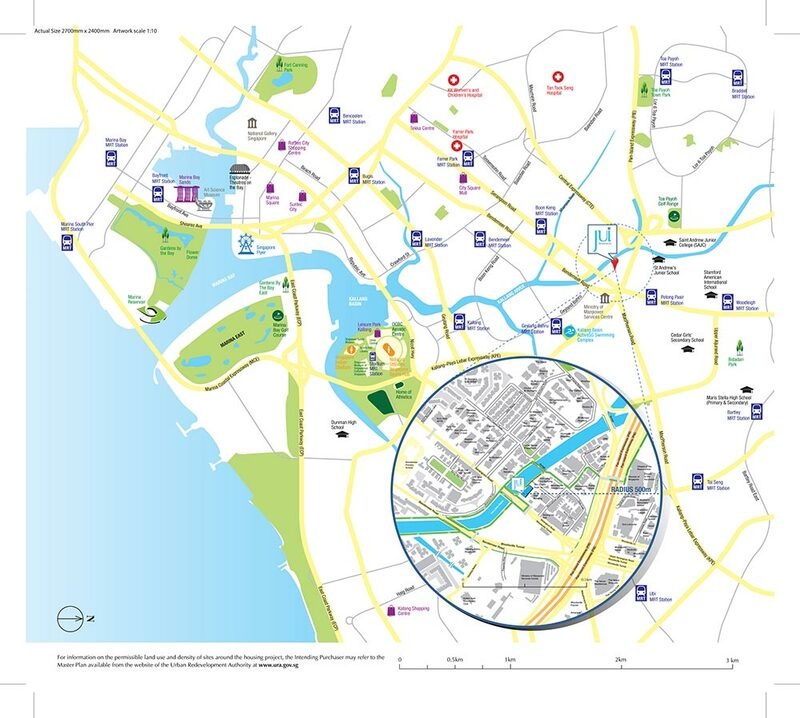 Situated along Serangoon Road, it will have excellent connectivity to the island via major expressways and minutes to the City. The main facing of the development is Kallang Sungei, which will give a very natural and water body view for the development. Entrance will be via Moonstone Lane. The development will consist of smaller investor-grade units from 1br to bigger family-sized units. The final information will be released on approved by the relevant government authorities. 2. Located next to Kallang River which is ear-marked for URA’s redevelopment plans. 3. Good capital growth potential as Jui Residences is located in the middle of growth districts of Bidadari Estate and Kampong Bugis. 4. 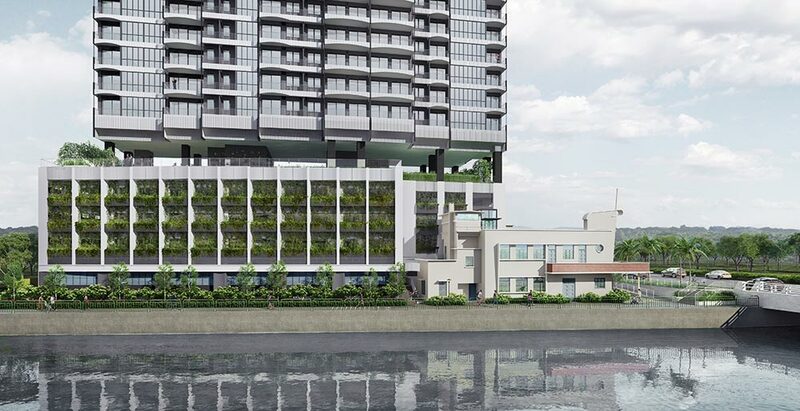 Jui Residences will become a part of the unique heritage of the National Aerated Water (NAW) building, a conservation effort by SDB Asia Pte Ltd, allowing its heritage to be brought to life through adaptive re-use. 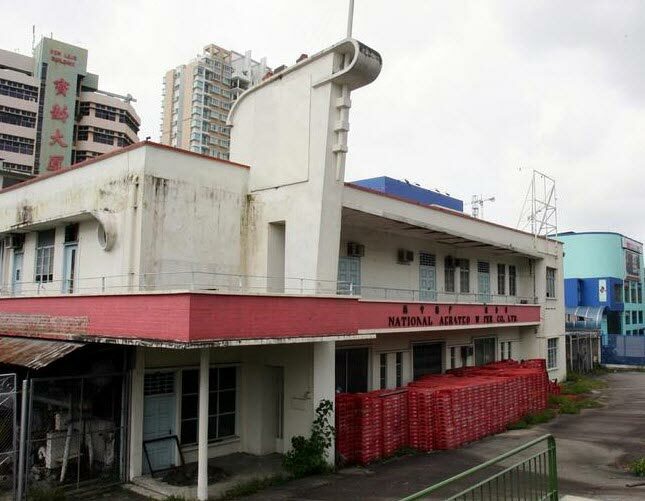 The NAW was where soft drinks like RC Cola, Sinalco & Kickapoo Joy Juice were bottled and is part of Singapore’s industrial heritage and one of the last remnants of the Kallang River’s industrial past. 5. Jui Residences is envisioned to be a unique and lively commercial area located next to a park connector, adjacent to the Kallang River. This park connector links Bishan-Ang Mo Kio park to Gardens By The Bay, turning the river into a thriving corridor of vibrant community space. 6. Residents enjoy a riverside lifestyle supporting active mobility where outdoor activities and healthy lifestyle is promoted. 7. Excellent connectivity via PIE, CTE and Serangoon Road to Marina Bay Area, CBD, Orchard Road and many parts of Singapore. 8. A home for the modern minimalist, crafted and curated by innovative designers, envisioned by SDB and brought to life by award-winning CarverHaggard of London. 9. The art-déco heritage can be seen through the vertical flutes on the facade, arched detailing on the balconies and wide inset curves at the podium. 10. 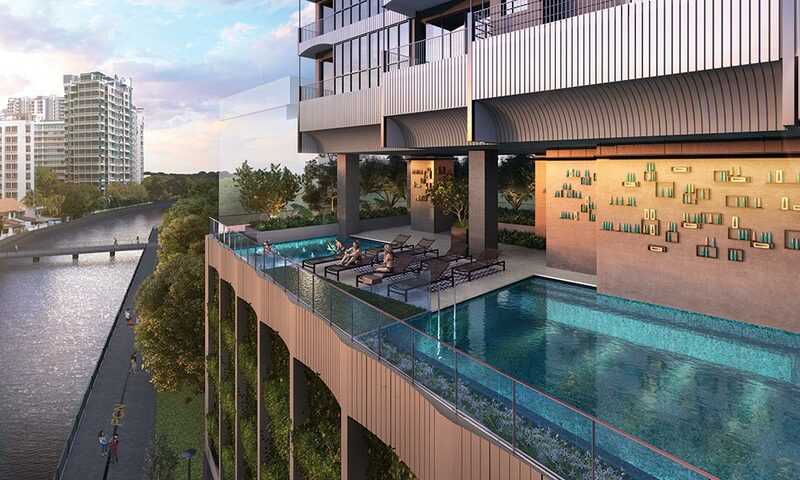 At the Level 5 sky terrace, a 24-metre infinity lap pool provides seamless views extending into the Kallang River giving residents a sense of liberating space. 11. As a tribute to the National Aerated Water Co., Ltd. building, brightly coloured artworks adorn the walls. Specially crafted by sculptor Dr. Colin K. Okashimo, and named ‘The Bottle Assembly: Filling Voids and Voids Filling’ pastel colours of pink, blue and yellow are applied to the bottles following the Miami art-déco style. The origin of Serangoon’s name refers to “Ranggong”, a bird commonly found in Riverine swamps around Serangoon River. Serangoon was then an area for logistics movements and warehousing business, due to the easy access and connection to Kallang River, which was then a busy waterway for goods and transport. It was also home to National Aerated Water Co Ltd. Founded in 1954, this building manufactured soda drinks, which included local favourites such as Sinalco and Kickapoo. 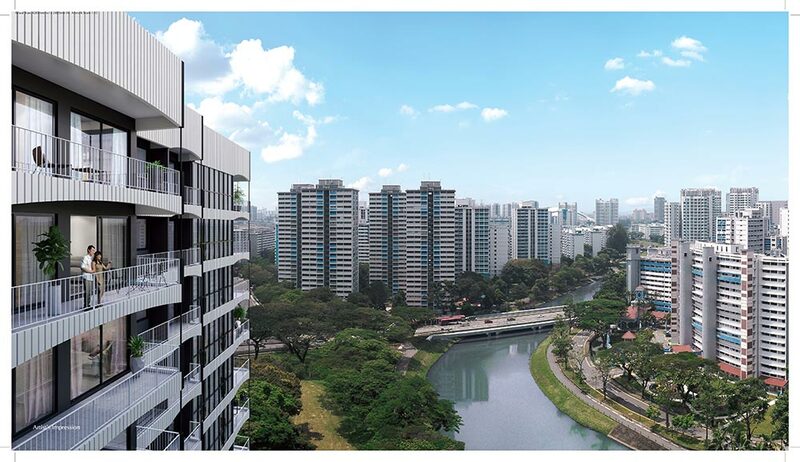 Now, Serangoon is an established address, with convenient amenities for its community. This would include NEX Shopping mall, a newly renovated and refurbished Chomp Chomp food centre, the Singapore Sports Hub, Kallang Basin Swimming Complex, and notable schools such as St Andrew’s Junior College and the Stamford American International School. Jui Residences is a freehold site that Selangor Dredging Berhad (SDB) secured at $47 million. Land bidding details and bidding price was submitted by Champsworth Development subsidiary, Tiara Land. The original zoning of the land is Industrial Zoning, to convert into Residential Use, the developer had to top up a deferential charge and change of use fees which totalled to approximately 22.6m. Based on Gross Plot Ratio and Land Use estimation, the site will yield about 100-130 units of average sized 700-800sqft estimated. Champsworth Development is owned by its partner company SDB International of a share of 50%. 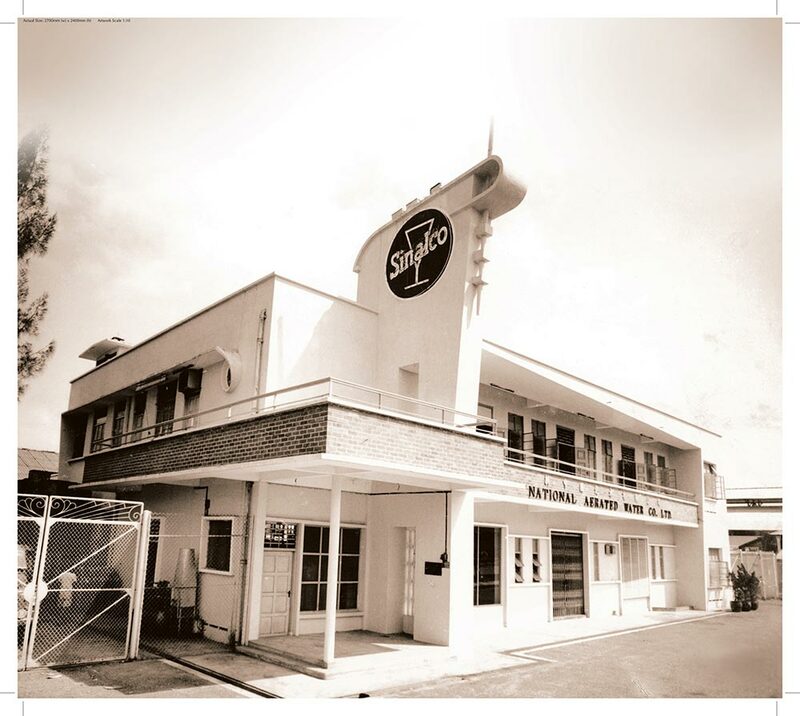 The site of Jui Residences was owned by former Singapore National Aerated Water and Beverage Company, well known on the everyday brand such as Sinalco and Kickapoo, which is still sold in various coffeeshops in Singapore. It was build and operated in the late 1920s by three Ching brothers, Ching Kwong Yew, Ching Kwong Kuen and Ching Kwong Lum. National Aerated Water Company oversaw the manufacturing and led the distribution through its distribution channels and partners. These Soda Drinks are a hit with the middle aged and older generation and is a fond reminder of the beautiful heritage of this site that has to offer. Even after it ceased operation on the onset of year 1990s, there were no major operation on the site and was left idle and vacant due to a major tussle over the shares of the asset. When the site was sold to Selangor Dredging Berhad (SDB) Champsworth Development, the Heritage Community was alarmed and concerned, the news and potential demolishing of the building after all, bottled iconic and well known beverages loved by Singaporeans such as Sinalco, Kickapoo Joy Juice, Royal Crown Cola, and Green Spot. You may be enjoyed them in the tall glass bottles before. Jui Residences pays homage to the National Aerated Water Co., Ltd. building, by drawing inspiration from its art deco elements. This cultural heritage building was built in 1954 and is associated with the bottling of popular softdrink labels, including Sinalco and Kickapoo. The centerpiece of this heritage building is a flagstaff mounted on the signature column, complimented by an on-site petrol pump which will be conserved within the development. The conserved ‘L’-shaped building is unique in several ways. There is a tapering balcony at the front with a fair-faced brick parapet and a built-in sunshade projecting out from the building’s side that spirals out of a circular window. With the launch of Jui Residences Condo Singapore approaching soon, we are excited to keep you updated for this new launch condoninium. Especially after a successful tender, you can be sure to expect crowds at the upcoming Jui Residences showflat, where the condo units will be introduced and sold by our Official Developer Team. 15/4/2019: 1br last 5 units from 835k (only for starbuy clients), register now. 1/2/2019: 1br last 6 units (only for starbuy clients), register now. 1/11/2018: Dear Buyers, please be reminded to claim the preview discount (you can register here to secure too). Last few units of 1br left! From 804k. 20/8/2018: Launch date 15th Sept 2018! Please register for priority access and discounts! 18/8/2018: New floorplans updated! Please refer to floor plans page for more info! 15/7/2018: Jui Residences tentative launch date: September 2018! Register to receive first hand information! 1/5/2018: Jui Residences tentative launch date: 3Q2018. Register to receive first hand information!